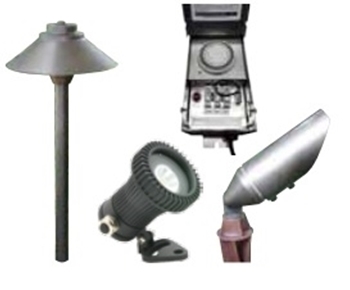 IlluminFX Surf & Turf - Everything you need to light up your backyard space. Light upyour pathways with the AL-2 pathway lights. Light up your pond or waterfall with the MR1 pond light and light up your trees and accent objects with the OB1 bullet lights.